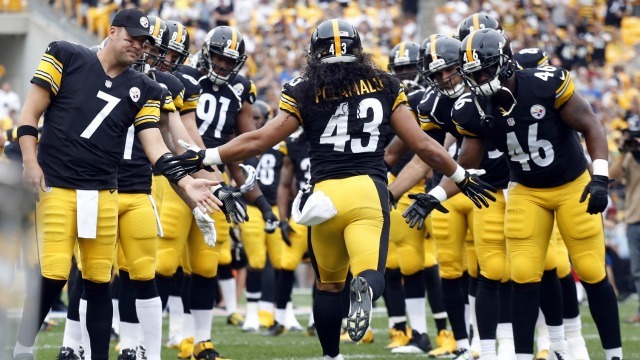 PITTSBURGH STEELERS: Every 1st Round Pick Since 2000 | "IT'S A STEELERS WORLD"! Some people question the Steelers ability to draft over the years. But that is one question I have never had the need to respond to for those who know otherwise. To chart a path to new success now and in the future, it’s always important for a team to look into the past for guidelines and what to do and not do during the NFL Draft. The Pittsburgh Steelers are one of those franchises that take such values to heart every spring. As they prepare to bring in a new name to black and gold colors with the 22nd overall pick, fans should take a look at what they’ve accomplished, good and bad since the start of the new millennium. If people were looking for reasons why the Pittsburgh Steelers won two Super Bowls in a four season span, they need only look at their 1st round history to find the answer. Landing five Pro Bowl players in seven drafts often leads to sustained success on the field. Will 2015 resume that incredible run of success for them? That is up to GM Kevin Colbert and the rest of the brass. But I truly believe that 2015 will be one of the best seasons the Steelers have a accumulated in the past 10 years.